You could be missing out on thousands of dollars if you don’t understand your entitlements when it comes to claiming for renovations to your investment properties. Another blunder is if you don’t use a qualified quantity surveyor to prepare a tax depreciation schedule. Take our crash course below and you’ll be up to speed in no time! Scrapping refers to the removal and disposal of any potentially depreciable asset from an investment property. 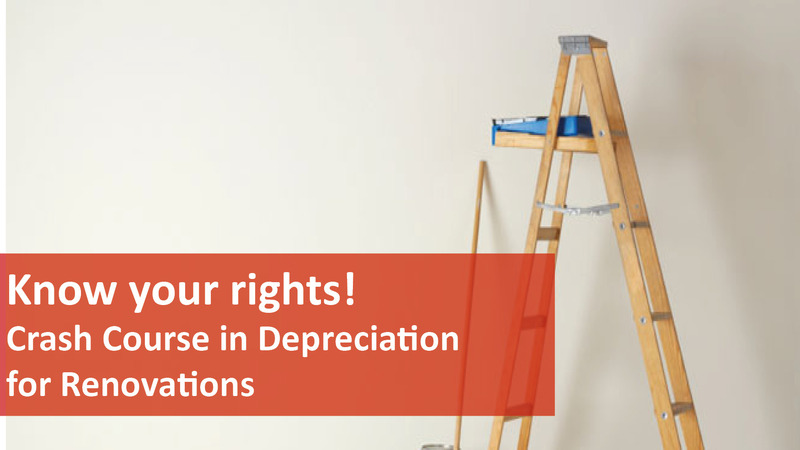 When tired or old assets (like carpet and hot water systems) are replaced and scrapped, the owner of the property may be entitled to claim the remaining depreciable value for the items being removed as a tax deduction in that financial year. Arranging a tax depreciation schedule before completing renovations will save you time and money when it comes to making a claim. In case of an audit by the Australian Taxation Office (ATO), a valuation of all items in a property, as well as adequate photographic records is essential. A second schedule is prepared after the renovation is completed, identifying the value of all new plant and equipment and capital expenditure within the property. The adjustments will be made to your tax depreciation schedule for a small adjustment fee and should not cost you as much as the initial tax depreciation schedule. The new schedule will outline all the depreciation claims available for the life of the property, which is forty years. Do your research and find a suitably qualified provider to make sure you get the most out of your entitlements. Scrapping is a complicated process that requires the expertise of a specialist quantity surveyor in conjunction with an accountant. By requesting a tax depreciation schedule you know you’re not going to miss out on anything and your accountant will love you for it. Contact us today regarding your current investment properties, finding a Quantity Surveyor or finding a new property to add to your portfolio, get in touch today.